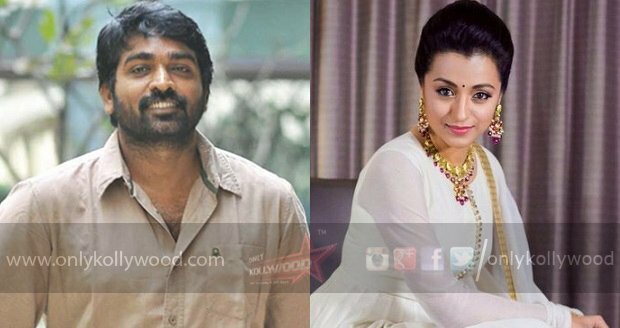 Vijay Sethupathi and Trisha will be pairing up for the first time ever for a film tilted as '96' which will be directed by Premkumar, the cinematographer of 'Naduvula Konjam Pakkatha Kanom'. The film to be bankrolled by S.Nandagopal of Madras Enterprises banner will go on floors by early 2017. Govind who has composed music for 'NKPK' director Balaji Tharaneetharan's second film 'Oru Pakka Kathai' is likely to be the music director of this film. The shooting of the film is expected to commence in February or March 2017. The film is touted to be romantic flick which is also hinted in the first look poster. 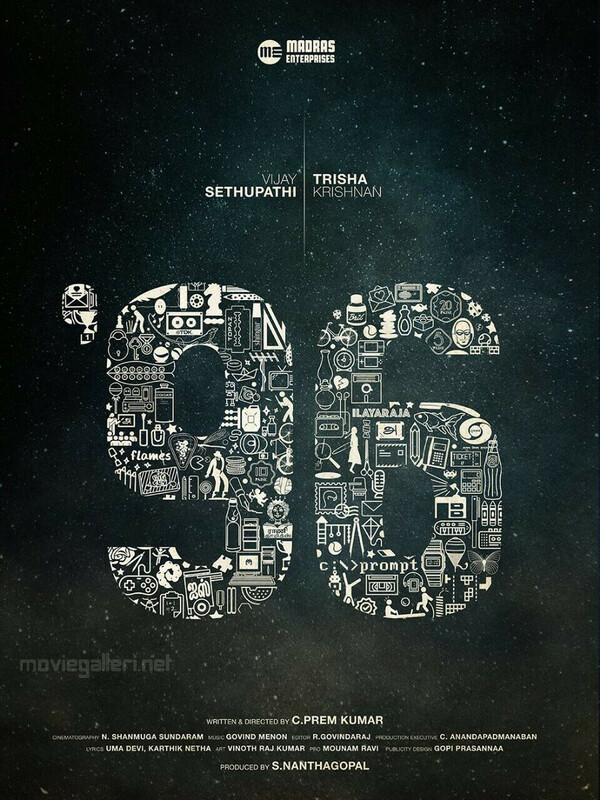 Whenever it’s a film from Vijay Sethupathi, we can expect something unconventional and different and this is yet again proved with the first look poster of ‘96’. The film is directed by Naduvula Konjam Pakkatha Kaanom fame cinematographer Prem Kumar, who makes his debut directorial with this movie, which is produced by Nandagopal of Madras Enterprises. The film stars Trisha in female lead role opposite Vijay Sethupathi and the announcement upon others in the cast and crew will be unveiled shortly in time. The poster has numeric 96 that comprises of various famous things, names and icons in vector images that were trending during the 90s, especially in the year 1996. This gives us an impulsive assumption to look out whether the film is set against the backdrops of 1996 or it has something based on the theme of nostalgic memories. As we have reported earlier, Versatile Actor Vijay Sethupathi and evergreen heroine Trisha will be pairing up for the first time in a film titled as '96' directed by Premkumar, the cinematographer of 'Naduvula Konjam Pakkatha Kanom'. The film touted to be an intense romance is being produced by S.Nandagopal of Madras Enterprises. Now the makers have announced a casting call. They are seeking look alikes of Vijay Sethupathi and Trisha among those boys and girls who are 14-17 years old to play the teen version of the lead pair. This shows that the film will showcase the long lasting love and how it has evolved through the decades.